Dr. Hyelda made the comment in response to recent visit of Musa Bororo a member elects for Mubi South to governor elect”. Dr. Hyelda Amos has criticized Musa Bororo for disowning Gov. Jibrilla. 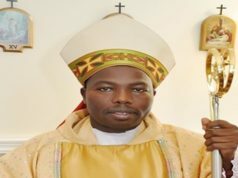 I had hoped that our dear father, Senator Zwingina, James Barka, Bishop Makanto, and host of others including member elect of Mubi South, that rode on the popularity of Bindow to clinch the ticket of the APC and subsequently wins as member elect would issue a counter statement and say the usual things politicians say: “they quoted me out of context!” “Bindow is my son” Bindow is my benefactor’ ‘Bindow is my mentor, especially in the case of Musa Bororo. That has not happened; rather, some other minority voices, including James Barka, have come to the defence of those that openly betray Bindow, to join hands in rubbishing a man they once defended to the hilt and used as a bargaining chip for the opposition interest in the larger Adamawa politics. If Gov. 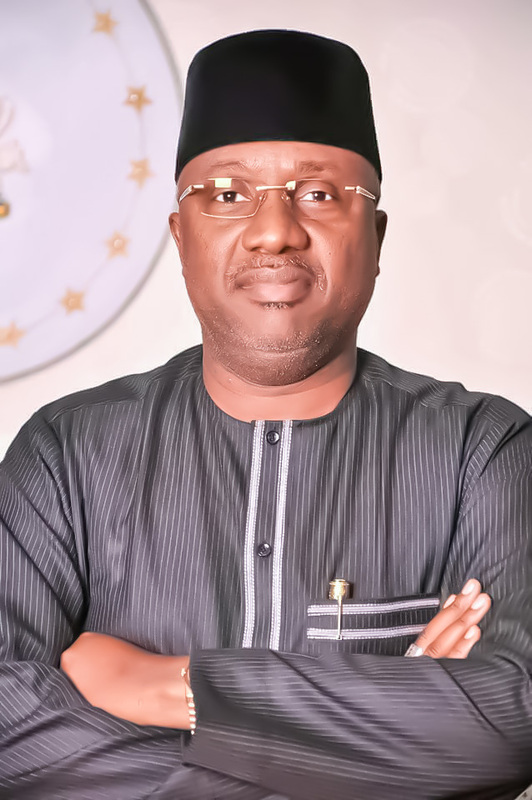 Bindow had returned to power on May 29, 2019, these same persons would have remained in the corridors of power, displaying all forms of ethnic triumphalism. Musa Bororo? Who would ever think, Bororo would publicly disown Gov. Bindow? They ran to the house of the governor elect saying Bindow is a weak leader, Bindow is stingy and so on, and he does not share money. At what point did they come to that realization? Yet, throughout the four years of the Gov. Bindow administration, they spoke loudly against anyone who opposed the Governor, especially Senator Zwingina and Musa Bororo. Today, he is not just turning against his own son; he is telling the people his son as governor lacked the political will to govern Adamawa. He has also accused his son of being too much of a gentleman. Really? Gentlemanliness would be considered honourable in refined circles. Is Senator Zwingina recommending something else in order to prove that he is no longer a politician but a statesman as he says? As someone who was a member of the Bindow administration, and who interacted often with the old man, I can only say that I am shocked. This is the equivalent of those hobnobbing with Bindow when the going was good and perfect, deleting Gov. Bindow’s phone number and ensuring that calls from his phone no longer ring at the Bindow end. If anyone had accused the Governor of lacking “the political will to govern Adamawa” at that time, he, Zwingina, would have called a press conference to draw attention to the Bindow administration’s institutional reforms and preventive measures, his commitment to urban renewal and face lift of the state from grass to grace under his son’s watch. Every governor probably needs a strong, passionate ally like Senator Zwingina. But what happened? What went wrong? Don’t get me wrong. I am not necessarily saying that those leaders frequenting the house of the governor elect should have remained loyal to and defend Jibrilla Bindow. If Bindow had returned to office, Musa Bororo would still be a loyal aide of Gov. Bindow and the “friend of the Governor” and we would still have been hearing that famous phrase, “Alasuree” Alarene’. It is the worst form of humiliation that Gov. Bindow has received as his tenure wind down as Governor of Adamawa State. It is also the finest compliment that the governor elect is receiving since he was declared winner by Inec penultimate week. The timing is also auspicious: just when the public is beginning to worry about the direction of the Fintiri government, the likes of Zwingina, James Barka, Musa Bororo shows up to lend a hand of support and endorsement. These are teachable moments for Gov. Bindow. Power attracts men and women like bees to nectar, the state of powerlessness ends as a journey to the island of loneliness. The same hegemons and their agents whom these leaders used to fight furiously will no doubt find them eminently quotable now that they has proclaimed that it is wrong to be a “gentleman”, and that Bindow lacks “the political will to share the state resources to power that be in the state”. There is more to this than we may ever know. Zwingina can insist from now till 2023, which he has spoken as a statesman and as a matter of principle. His re-alignment is curious nonetheless. “As for Musa Bororo, who enjoys Bindow’s government than anyone to have publicly derided the governor as it is shown all over the social media is most unforgettable and unfortunate moment, because Bororo history cannot be completed without mentioning Bindow’s name.